PULSUS brings in a new spin on conferences by presenting the latest scientific improvements in your field. Listen to motivating keynotes from thought leaders or rub elbows with pioneers across the globe. Italy is all set for an amazing event as PULSUS proudly presents the “3rd European Pharma and Pharmaceutical Sciences Congress” slatted on July 25-26, 2019 at Rome, Italy. PULSUS Group is an internationally renowned medical peer-review publisher and conferences organizer established in the year 1984 publishes and hosts the work of researchers in a manner that exemplifies the highest standards in research integrity. 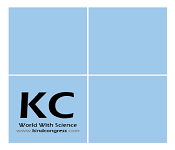 With a legacy of 30 years of excellence in Medical Publishing, Now, we are running several International Conferences in the fields of Medical, Clinical, Life Science and Pharma. European Pharma 2019 focuses on the importance to understand drugs and how they can affect human physiology. It is with a better understanding of Pharmacology one can know the right dosage and dosage forms of drugs. 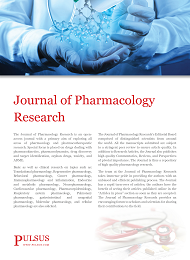 More research in pharmacology deals with identifying and responding to drug interactions and its side effects along with its mechanism of action, its therapeutic index and thereby treat accordingly. More intensive study with the interaction between a drug and its therapeutic effect helps to identify the properties of ideal drugs. The Conference provides the research work of pharmacology and therapeutics from various scientific backgrounds and the same can be perceived by pharmacologists, scientists and students. 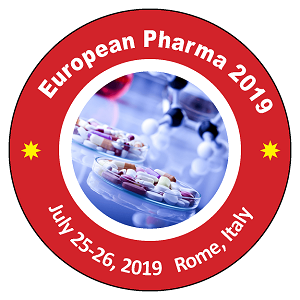 European Pharma 2019 brings a unique platform for scientists, researchers, academicians, professors, and students to share their knowledge and views also presenting research about the latest pharmacological activities of drugs and chemical properties. PULSUS Group provides an opportunistic environment and vibrant podium through these auspicious events. 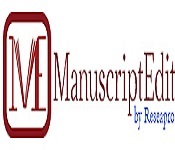 European Pharma 2019 mainly focusses on the universities, institutes, research centers and major societies along with companies which hold a big market in laboratory technologies. 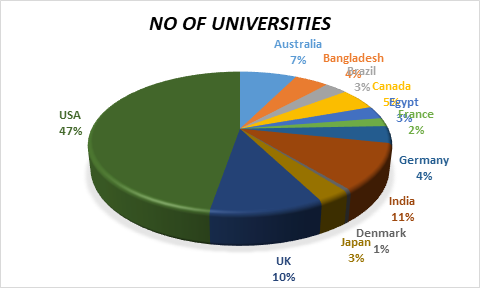 Target audience involves students, faculties, researchers, scientists, dean, directors and CEO's of the companies. We welcome all interested participants to join us for our conference on 3rd European Pharma and Pharmaceutical Sciences Congress at the exquisite destination Rome, Italy. Pharmacology is the part of science worried about the investigation of medication action, where medication can be comprehensively characterized as any man-made, regular, or endogenous (from inside the body) particle which applies a biochemical or physiological impact on the cell, tissue, organ, or life. All the more explicitly, it is the investigation of the associations that happen between a living life form and synthetic concoctions that influence ordinary or unusual biochemical capacity. In the event that substances have restorative properties, they are viewed as pharmaceuticals. Drug discovery and development together are the complete process of identifying a new drug and bringing it to market. Discovery may involve screening of chemical libraries, identification of the active ingredient from a natural remedy or design resulting from an understanding of the target. Development includes studies on microorganisms and animals, clinical trials and ultimately regulatory approval. Bioavailability is the degree and rate at which a substance (such as a drug) is absorbed into a living system or is made available at the site of physiological activity. Bioavailability is an essential measurement tool since it determines the correct dosage for non-intravenous administration of a drug. In clinical research trials, the bioavailability of a drug is a key factor to be measured in Phase 1 and Phase 2 trials. Bioequivalence is the property wherein two drugs with identical active ingredients or two different dosage forms of the same drug possess similar bioavailability and produce the same effect at the site of physiological activity. 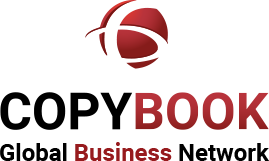 Bioequivalence is determined by pharmacokinetic studies to determine whether a commercially available brand product and a potential to market generic version share core attribute. Determining the absolute bioavailability of a drug is done through a pharmacokinetic study. 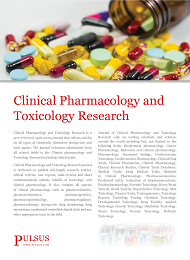 Toxicology is a study that involves an understanding of chemical properties and their actions on the body but differs considerably in other areas. Toxicology is the scientific study of adverse effects that occur in living organisms due to chemicals. It involves observing and reporting symptoms, mechanisms, detection, and treatments of toxic substances, in particular, relation to the poisoning of humans. It includes environmental agents and chemical compounds found in nature, as well as pharmaceutical compounds that are synthesized for medical use by humans. These substances may produce toxic effects in living organisms including disturbance in growth patterns, discomfort, disease, and death. 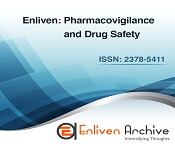 Pharmacovigilance is defined as the science and activities relating to the detection, assessment, understanding, and prevention of adverse effects or any other drug-related problem. Pharmacovigilance heavily focuses on adverse drug reactions, or ADRs, which are defined as any response to a drug which is noxious and unintended, including lack of efficacy. The 3D printing of the drugs is being introduced to provide the patients with the right amount of the dosage. This 3D printed tablets are otherwise known as personalised tablets are invented with the help of 3D printer which cannot be achieved by normal traditional methods. With the help of this technology multiple drugs can also be available in the single tablet. Artificial Intelligence in Pharmaceutical industries are widely needed these days which leads to increase in the size of and the greater variety of types of biomedical datasets, as a result of the increased usage of electronic health records. AI can be helpful in predicting treatment results, involves in drug design and Data pre-processing. Trials to evaluate the effectiveness and safety of medications or medical devices by monitoring their effects on large groups of people. Clinical research trials may be conducted by government health agencies such as NIH, researchers affiliated with a hospital or university medical program, independent researchers, or private industry. Usually, volunteers are recruited, although in some cases research subjects may be paid. Subjects are generally divided into two or more groups, including a control group that does not receive the experimental treatment, receives a placebo (inactive substance) instead, or receives a tried-and-true therapy for comparison purposes. Phytochemistry is the study of phytochemicals, which are chemicals derived from plants. Those studying phytochemistry strive to describe the structures of a large number of secondary metabolic compounds found in plants, the functions of these compounds in human and plant biology, and the biosynthesis of these compounds. A pharmaceutical formulation, in pharmaceutics, is the process in which different chemical substances, including the active drug, are combined to produce a final medicinal product. The word formulation is often used in a way that includes dosage form. Formulation studies involve developing a preparation of the drug which is both stable and acceptable to the patient. For orally administered drugs, this usually involves incorporating the drug into a tablet or a capsule. It is important to make the distinction that a tablet contains a variety of other potentially inert substances apart from the drug itself, and studies have to be carried out to ensure that the encapsulated drug is compatible with these other substances in a way that does not cause harm, whether direct or indirect. 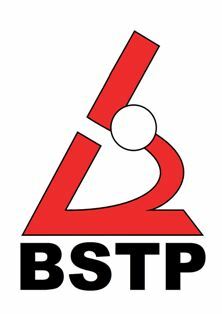 Pharmaceutical biotechnology can be defined as the science that covers all technologies required for the production, manufacturing and registration of biological drugs. It mainly works on to design, produce drugs that are adapted to each person’s genetic makeup, which can give the maximum therapeutic effect. Biotechnology plays an important role in pharmaceutical science most especially in the pharmaceutical industries by the creation of genetically modified organisms that can be used in industrial production. Regulatory affairs are a comparatively new profession which developed from the desire of governments to protect public health by controlling the safety and efficacy of products in areas including pharmaceuticals, veterinary medicines, medical devices, pesticides, agrochemicals, cosmetics, and complementary medicines. The companies responsible for the discovery, testing, manufacture, and marketing of these products also want to ensure that they supply products that are safe and make a worthwhile contribution to public health and welfare. Intellectual property rights refer to the general term for the assignment of property rights through patents, copyrights, and trademarks. These property rights allow the holder to exercise a monopoly on the use of the item for a specified period. By restricting imitation and duplication, monopoly power is conferred, but the social costs of monopoly power may be offset by the social benefits of higher levels of creative activity encouraged by the monopoly earnings. Pharmaceutical innovations are currently guided by a patent system, the patent system protects the innovator of medicines for a period of time. The patent system does not currently stimulate innovation or pricing that provides access to medicine for those who need it the most, it provides for profitable innovation. 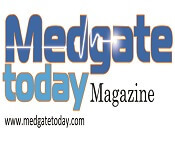 As of 2014, research and development of pharmaceuticals which produces 25-35 new drugs. Technology, which is transforming science, medicine, and research tools have increased the speed at which we can analyze data, but we currently still must test the products which are a lengthy process. Differences in the performance of medical care may be due to variation in the introduction and circulation of pharmaceutical innovations. Clinical Data Management (CDM) is a critical phase in clinical research, which leads to the generation of high-quality, reliable, and statistically sound data from clinical trials. This helps to produce a drastic reduction in time from drug development to marketing. Team members of CDM are actively involved in all stages of the clinical trial right from inception to completion. The method by which a drug is delivered can have a significant effect on its efficacy. Some drugs have an optimum concentration range within which maximum benefit is derived, and concentrations above or below this range can be toxic or produce no therapeutic benefit at all. On the other hand, the very slow progress in the efficacy of the treatment of severe diseases has suggested a growing need for a multidisciplinary approach to the delivery of therapeutics to targets in tissues. 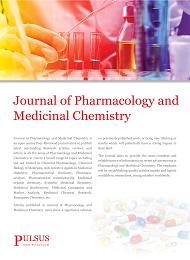 From this, new ideas on controlling the pharmacokinetics, pharmacodynamics, non-specific toxicity, immunogenicity, biorecognition, and efficacy of drugs were generated. These new strategies often called drug delivery systems (DDS), are based on interdisciplinary approaches that combine polymer science, pharmaceutics, bioconjugate chemistry, and molecular biology. Rome is as much about lapping up the dolce vita lifestyle as gorging on art and culture. Idling around picturesque streets, whiling away hours at StreetSide cafes, people-watching on pretty piazzas – these are all an integral part of the Roman experience. The tempo rises as the heat of the day gives way to the evening cool and the fashionably dressed Aperitivo (pre-dinner drinks) crowd descends on the city's bars and cafes. Restaurants and trattorias hum with activity and cheerful hordes mill around popular haunts before heading off to cocktail bars and late-night clubs. 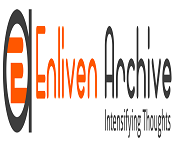 Leading world Eminent Engineers, Professors, Research fellows and many more from leading universities, companies, Pharma Associations, their novel researches in the arena of Pharma and Pharmaceutical Sciences. The global $1.12 trillion markets in 2022, will rise at a faster clip during 2016-2020, then slow down a bit as major patent expiration take hold. It is expected that the global market declined by 1.0% in 2015 but will grow by 4.8% this year. Prescription sales excluding generics will rise 4.4% this year and expected to reach $1.006 trillion in 2022. Generics sales will increase from $73 billion in 2015 to $115 billion in 2022 and constitute 10.2% of prescription sales at that point only 0.3 percentage points more than it is now. These data describe the outcome of the patient as defined in U.S reporting regulations. Serious means that one or more of the following outcomes were documented in the report: death, hospitalization, life-threatening. There is a need to impede serious adverse effects caused by the drugs by enhancing drug targeting through research in pharmacy.